We provide ambient warehouses throughout the UK and Ireland to support our Supermarket Logistics Operations. 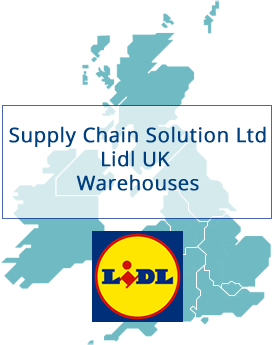 Our warehouse solutions are alongside or near to the major supermarket RDC's (Regional Distribution Centres). 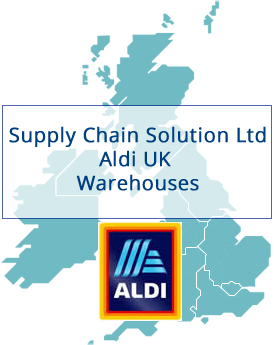 We provide full load and consolidation/groupage services for suppliers to Aldi, Lidl and other supermarket groups. Whether your goods arrive in a container or on a trailer, we provide local solutions to your problems. If you require, restacking, repacking, and redistribution of rejected goods to any UK supermarket group, we can help. Each of our warehouses offers standard services, with others offering speciality services. Just click on the warehouse of your choice for pictures and service details. Our Merseyside Supermarket consolidation hub provides the full range of logistics services required in demanding markets. We provide stock transfers, order fulfilment, and part load services e.g. 1-5 pallets with a full supermarket integrated logistics and warehousing facility. If your products are sent by container, we provide a nightly shunt to and from the Port of Liverpool which improves efficiency and money as there are no delays during the quieter hours. Destuffing containers, Offloading trailers, etc all take place during these hours.